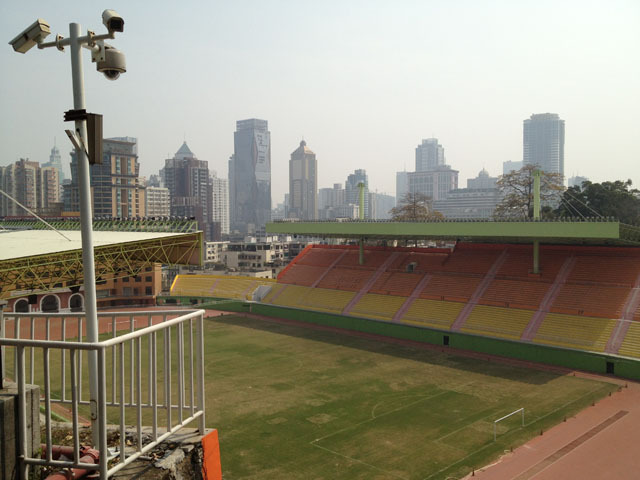 This is part 2 of my Guangzhou trip … Here ‘s part 1 if you haven’t read it. 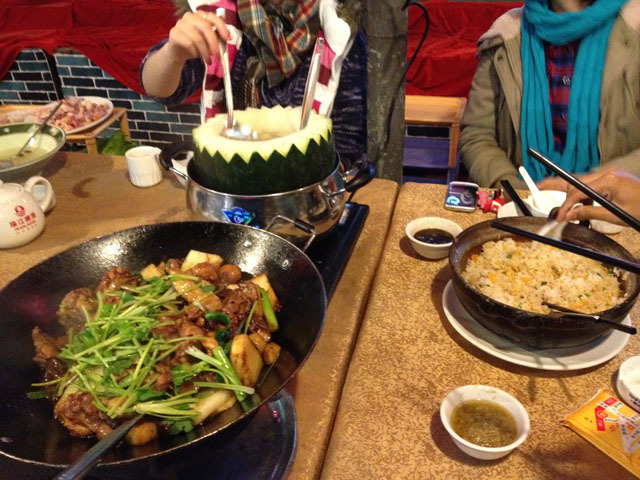 After going up and down of the hill at Yuexiu Park, it’s time for us to get some dinner. After the dinner that was full of food (like a feast! ); we still didn’t want to go back yet to the hostel. We decided to have a night river cruise of Pearl River! We checked-out from the hostel on the second day, so we’ve packed everything and ready to go. My destination and Firman was different with Ivren and his friends’ destination. We’re going to Guillin, while they’re going to Shenzhen and Hong Kong, but first, we’re going to visit The Temple of Six Banyan Tree or Liu Rong Temple (Liu Rong means ‘Six Banyan Tree) together. If you wonder why the name is Six Banyan Tree, the name is actually was given by a writer called Su Dongpo, who saw six banyan tree there. The temple itself was built in 537AD. 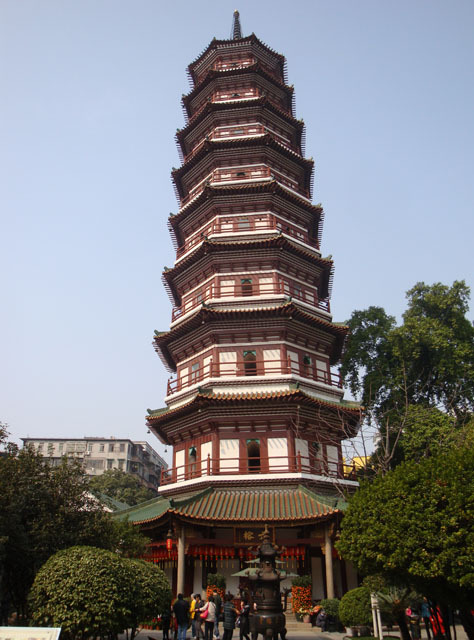 The famous structure in the temple is of course the pagoda. 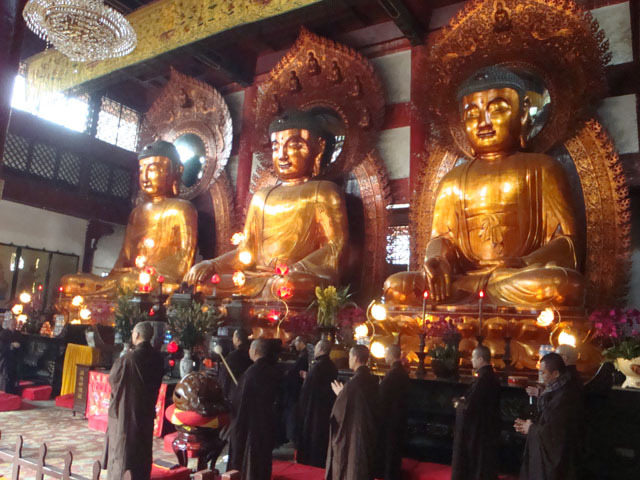 In the main temple there are 3 big Buddha statues in it, and there’s like a ritual was happening in the room with monks chanting and lining up in front of the Buddha statues. Well this temple was the last place that we visited together with Ivren’s and friends. So in the subway station, they headed to the airport, while we went back to the hostel to get our backpacks (we left our backpacks there so it’s easy for us to commute :)). 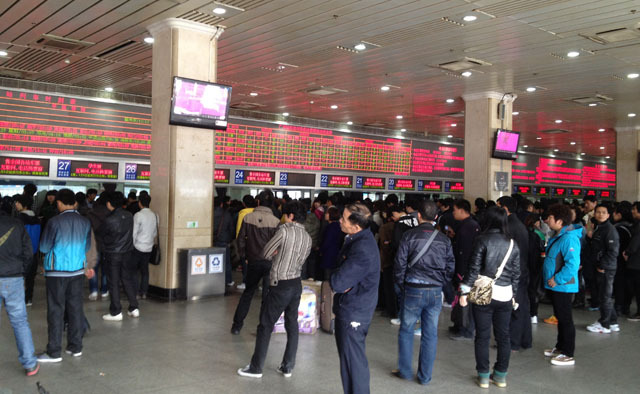 Our priority at that time was to get a train ticket to Guilin, so we headed to Guangzhou East railway station. 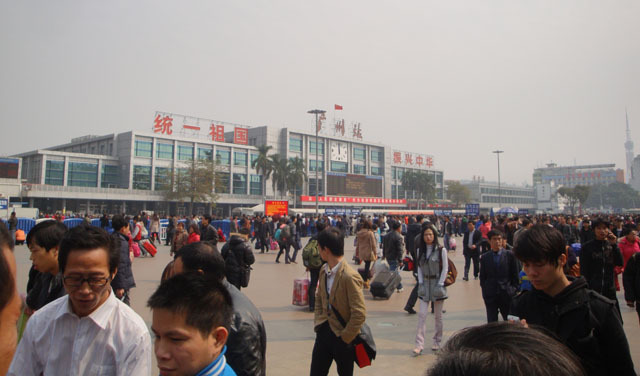 The train station has a really big field in front of it, and there were a lot of people. And the staff show the price in the computer monitor. We handed him the money. He handed us the tickets to Guilin. In this park, this time, we explored more area than yesterday. Well of course we didn’t return to the Five Goats statue like yesterday, so first thing to do was to find the directory of the park. Apparently the park is really big, they have the stadium, body building, amusement park, children playground, and many more!! Not to mention, some monuments in it. Wow! 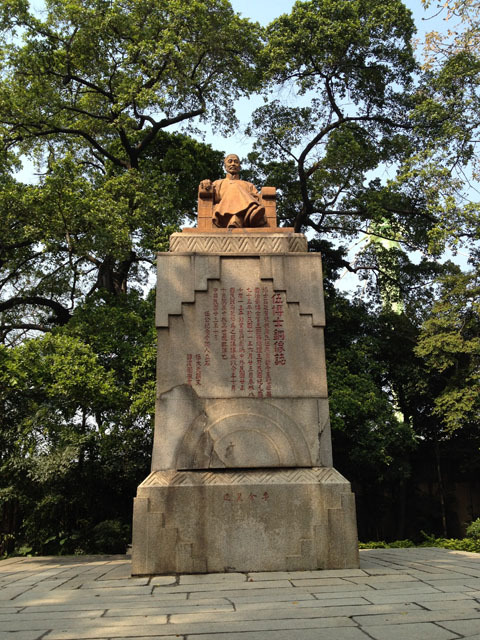 We chose to see the Monument of Dr. Sun Yat-sen, and the statue of Tingfang Wu. 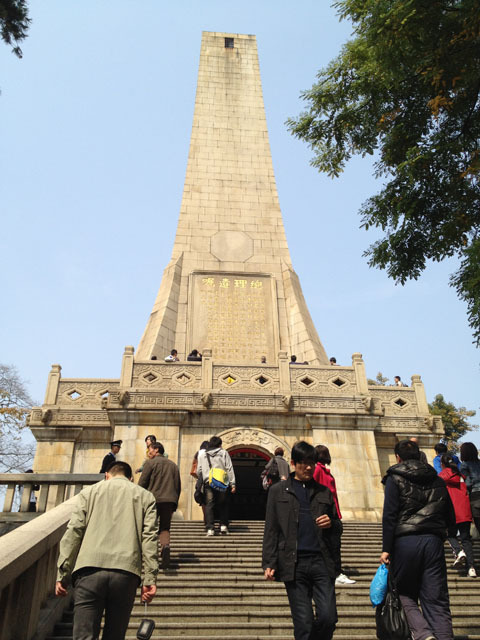 The Monument of Dr. Sun Yat-Sen is located on one of the hilly side. This monument was constructed in 1929. The monument is quite high, and we could enter it. We could also go up to the second floor, and went to the balcony, where I could see some inscriptions telling some information about the monument. This monument was quite crowded with many people taking pictures on the stairs that is going up to the monument (ermm okay, that’s actually me … haha). On the contrary, The Statue of Tingfang Wu was less crowded, where only a few people going there. Perhaps the location is a bit secluded? We still had enough time to visit other temple. 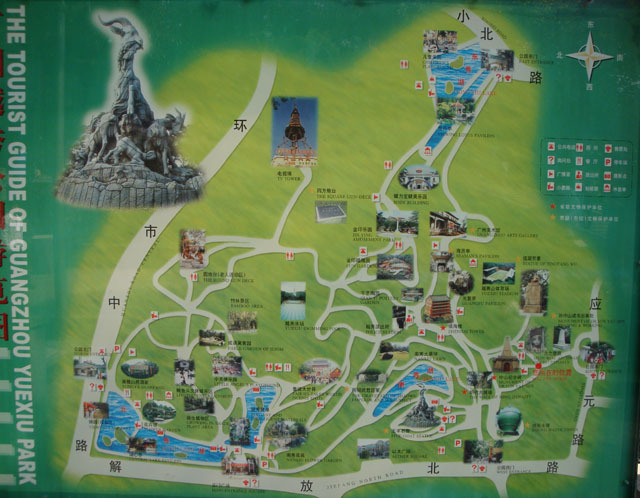 From the map, the location is actually quite close to the Yuexiu Park, but it seemed that we couldn’t find the right direction haha. 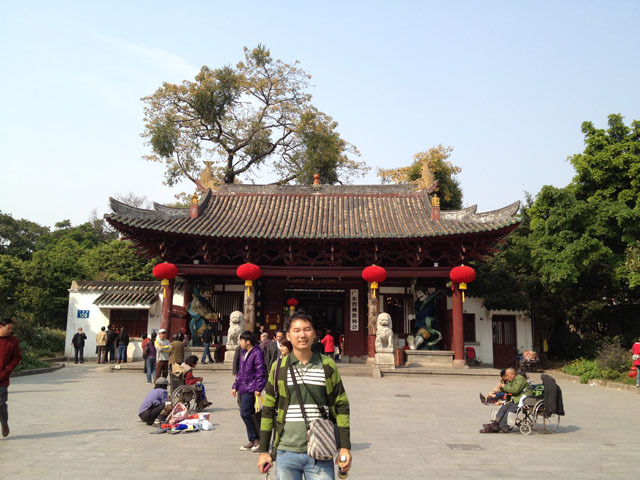 Finally we reached the last temple for our Guangzhou trip. 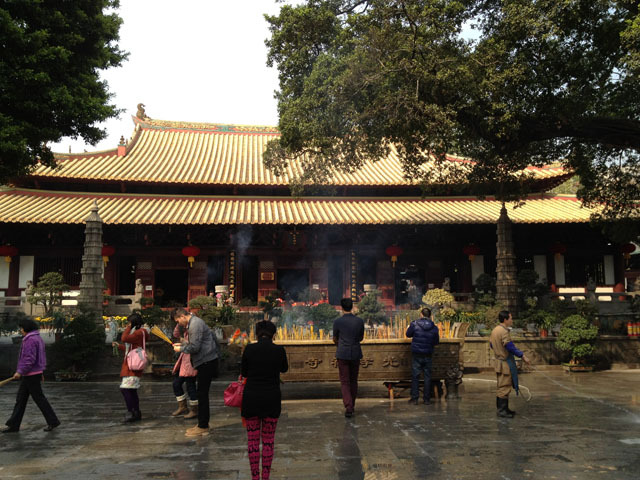 It’s the Guangxiao temple, or it’s also called the Bright Filial Piety Temple. 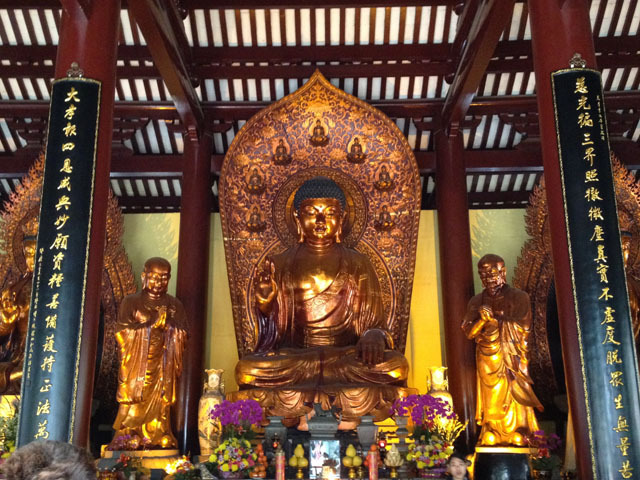 In the centre of the temple, there’s a hall that hosted 3 Buddha statues. It’s called Mahavira Hall. After spending time in this temple, we’re finally should go to the train station. 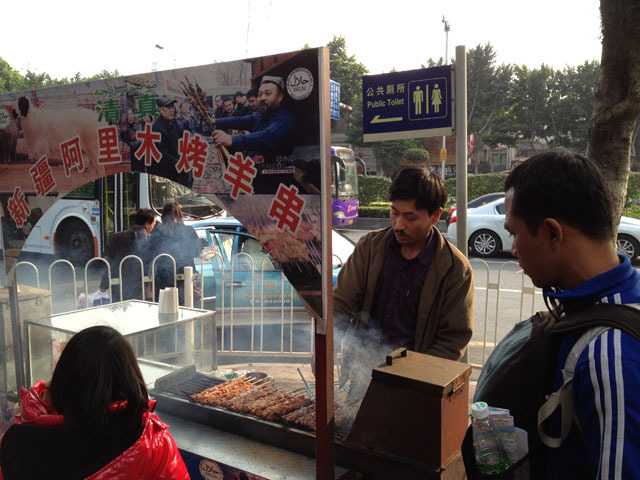 I’ve just remembered that Firman bought some delicious lamb satay near Fangcun Subway station. The funny thing was there’s no packaging for take-away. The seller only gave some tissues for us to hold the sticks! Haha … But I tell you, the satay is delicious!! Yummy yummy! !